I found another Google poroduct, Google Earth. 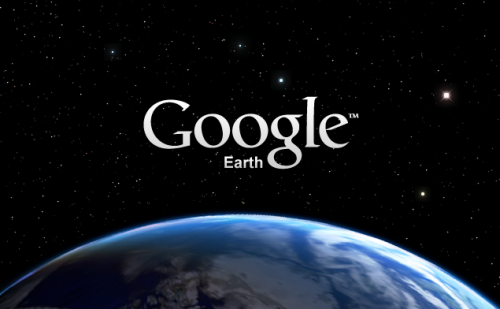 You can have a visit to http://earth.google.com, the beta version software also can be downloaded from there.. The software is really cool. You can view I think almost any place in the world. I have downloaded Google Earth the free version. When I searched for “Kuala Lumpur”, the system will automatically search for it, and zoom into Kuala Lumpur. The map was not really precise, you cannot view up to the roads, but you can still view the main roads, roughly. You can estimate where’s your location on earth. It also can tell you the details of your coordinate. The software also can integrate with your GPS device, but its not supported by the free version. It also have the functionality to view for lodging, dining, Bank/ATMs, Coffe house, shopping mall, Groceries, gas station, fire/hospital, pharmacy, golf, stadium, and many other places of interest. Google Earth Plus just cost you USD 20. It can have more precise image for you, not like Google Plus. It also can import address points from a .cvs file. For a corporate use, you might need Google Earth Pro. Wow! Hitachi now have already launched 500GB harddisk Hitachi’s Deskstar 7K500. There’s alot changes within these few years. I have experience myself using 4GB harddisk a few years ago, when I first using computer. Internet and IT in malaysia in particular have change so fast, faster internet connection, and larger media storage, have push the demand for more harddisk space. I would say 500 GB harddisk is a need for personal computing as well. Even for myself, I have 40GB harddisk for my notebook, and 60GB for portable harddisk, still not enough!! This is some information to share, on how to enable WAP on your apache web server. WAP will just works with your ordinary apache web server, it just need some additional code to be inserted into the configuration file. Add the following code into your httpd.conf file, between <IfModule mod_mime.c> and </IfModule> tag. Appearing in 642-436 is not an issue for a 70-293 professional, whether he has done 350-018 and 70-647 or not. I downloaded an ebook, Linux Server hacks [O’reilly], hacks #65, “Monitoring Web Traffic in Real Time with httptop. Its quite interesting, you can view the traffic, but in CLI, just a black screen. But you can see who’s hitting your web server up to the second. You can also download a full ebook from here. The file is quite big, 34MB! But… I found the Window help file version for the ebook! The server used to setup all this things up is using FreeBSD 4.11, using DirectAdmin control panel. Mod_perl update were managed by DirectAdmin, and it makes my job easier to add additional Perl modules for httptop to works. Httptop need Time::HiRes and File::Tail Module installed to mod perl. “total_log” is a newly created file, where the new log data will dumped into, using these specified format. chmod it to 644. Then we go to our httptop file. You can get the source code from O’reilly official website, or just download it from here. In order to make sure the scripts will work, we have to install Time::HiRes module and File::Tail perl module. Walla, now you can see the result. Certificates like 640-816 and 650-393 are important for a 70-284 professional’s career, particularly if he is planning on a future in 642-552 and 646-588. Overlook an exploit in metasploit. allowed but a default page exists. + HTTP method 'SEARCH' may be used to get directory listings if Index Server is running. + HTTP method 'TRACE' is typically only used for debugging. It should be disabled. + /scripts - Redirects to http://192.168.0.3/scripts/ , Remote scripts directory is browsable. lows remote attackers to gain admin privileges via a long print request that is passed to the extension through IIS 5.0. The server runs IIS 5, with source code dislosure vulnerability. I didn’t notice that Metasploit Framework already have the exploit. The task should be more easy with Metasploit. Quite a few advertising agencies are making use of cheap web hosting and free web design templates by saving there and spending on seo like email marketing. Merdeka! Merdeka! still can be heard today. Last night IIUM students also celebrating Merdeka Day in the campus. Many peoples were there, students, lecturers and many other people around the area. There were many people in KL last night. I saw a family with their children planning to celebrate Merdeka in KL. It makes me remember, I was never being outside at night during my young ages. I still agree that we still cannot know the value of Merdeka, since we have already been in all the harmony, and have all the peaceful life. How can be protect our country, without knowing the value of independence? Peace be among the warriors, who strive for our independence. Auditor security linux, must try linux for anyone who interested in security aspects of networking and administration. Auditor provides full of application needed information gathering, vulnerability assesment, and many more. The application have been arrange in categorical, so that you can go to specific application specific to what purpose. There are many more tools that not included in the category, you can search for it. As all of us wait and all the rumours spread, now Google come out with its new IM for its users, Google Talk. The application is simple, small in size, and the file is all the software that you need. You dont need to redownload other program to use it. Google Talk support Voice Call with your buddies. Download now, and start inviting your Google friends to your Buddy list!